If southern hemisphere rugby were to be destroyed where would that leave international rugby and the World Cup? Southern hemisphere rugby faces massive problems regarding the exodus of players to the rest of the world, especially to France, Japan and the United Kingdom. The world’s three most successful countries are being stripped of the players they produce and the public interest is waning. This will lead to the demise of rugby in these countries, and eventual bankruptcy, if this trend continues. If this happens, rugby in the southern hemisphere will disappear as an international and professional game. And this includes New Zealand. Who would have thought that this scenario would ever have surfaced five years ago when the southern hemisphere game was so strong? 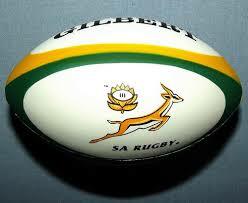 The problem is that the northern hemisphere has the finances and the southern hemisphere the players. In the professional era the players are following the money and playing for their countries is no longer a priority. This is a very dangerous situation for the global game and could easily destroy southern hemisphere rugby. If southern hemisphere rugby were to be destroyed where would that leave international rugby and the World Cup? The All Blacks, Springboks and Wallabies have historically dominated world rugby. The three southern hemisphere teams have won seven out of eight Rugby World Cups. Add to this France who is no longer the force it once was because their main competition, the Top 14, has too many foreigners playing in it. This has resulted in France no longer producing quality players and being one of the leading teams in Europe like in years gone by. In the past the country that won the Five or Six Nations had to beat France. Sadly, this is no longer the case. The International Rugby Board (IRB) has to intervene and save the southern hemisphere game by implementing restrictions on the amount of foreign players that clubs can contract. This will control the supply and demand that has gone haywire because of northern hemisphere clubs and a strong currency. The counter argument will be that it is unfair to the players. But is it? It is not as if professional rugby players are poorly paid in their respective countries; they are well-paid compared to the economies of those countries. The future of the game must remain a priority for the IRB and the rugby playing countries, not the enrichment of a generation of players. If the IRB refuse to intervene on behalf of the southern hemisphere, then New Zealand, South Africa, Australia and Argentina must withdraw from the 2019 Rugby World Cup in Japan. This will send out a strong signal to the IRB and the northern hemisphere countries. It might smack of blackmail but drastic situations need to have drastic solutions. The southern hemisphere’s plight is fast becoming very serious because of the private club structures around the world. « Does the SA ‘A’ team offer any hope for the future?